While it’s convenient to call a professional plumber, there are effective ways to fix running toilet by yourself. Calling a repair service can be costly especially if you’re renting and your landlord will not cover the costs, though they should. 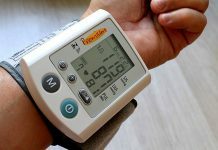 In any case, when you want to avoid the expenditure of having it professionally fixed and to lower your water bills, here is a guide on how to fix running toilet that is easy and effective. It’s a lot simpler than you think. You just need to identify the problem and apply the fixes even if you don’t have any plumbing experience. Before you start doing anything to fix running toilet, first you need to do some tests to see if there is indeed a leak in your toilet. Open your toilet tank’s lid, the one above the flush. Test the flapper by pushing it down with a stick. 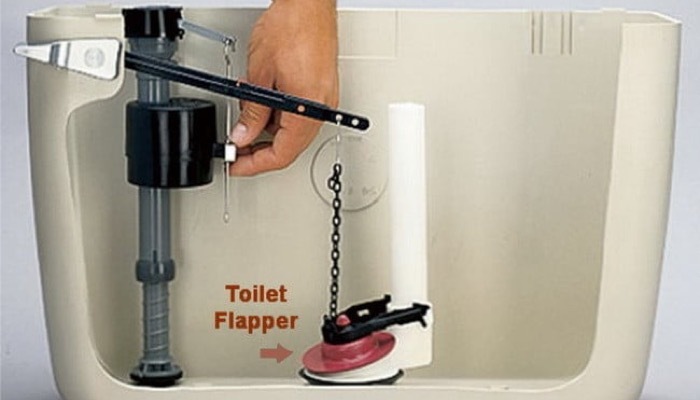 The flapper is the one that looks like a cover on the bottom of your toilet’s tank. It lifts to release water to the bowl when you flush. It’s usually made of plastic and you can see there is some sort of chain connected to it. Push it down with a stick when you hear the water running and wait for it to stop. If the water stops running immediately, you have a defective flapper. You will have to replace it. Next, you need to check the fill valve for leaks. The fill valve is the round valve or stopper on top the bigger tube in the tank. Lift up the float arm on top of that valve while the tank is filling and carefully check if the water stops. Bend the float arm to stop the tank from filling when there is about an inch of water in below the top of the smaller tube which is called the overflow pipe. If the water doesn’t stop, it means the fill valve is leaking and you would have to replace it. How to Fix Running Toilet? Once you’ve identified your problem, here are the steps to fix running toilet. Flappers deteriorate over time. If it’s a defective flapper, you need to replace it. Turn off the water to the toiler by turning the shutoff valve beneath the tank. Flush the toilet to drain the remaining water in the tank. Remove the flapper then follow the installation instructions in the new flapper. Make sure that the replacement flapper you buy is the same as the one in your toilet tank. When checking for leaks by pushing down the flapper and the water did not stop from running, it could be because of the fill tube. This is the small plastic tube that connects the fill valve to the overflow pipe. The overflow pipe drains excess water when there is too much water in the tank. 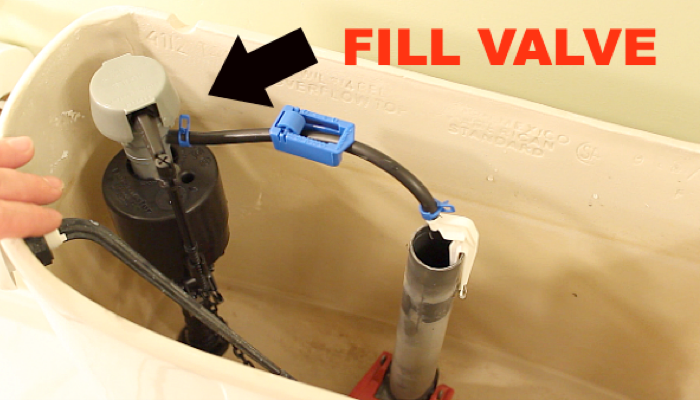 If the fill tube is under the water, you have to cut it down so that it clears the water level. You either have a ball float or a cup float. 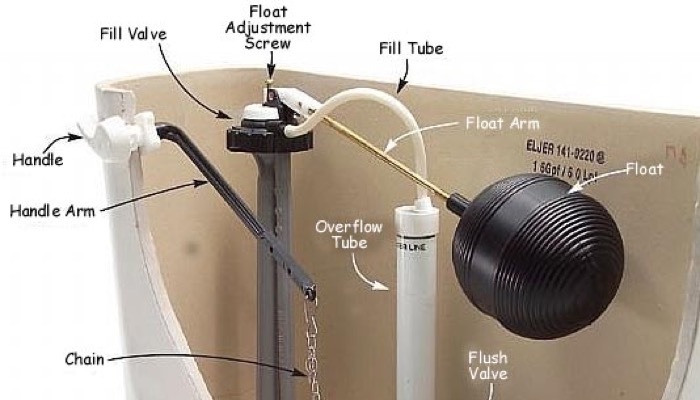 If the float is too high, it forces the water level to rise above the overflow pipe and it’s the reason why your toilet doesn’t stop from draining. To fix the ball float, all you have to do is bend its arm. If you have a cup float, find how it adjusts, usually by pinching, and then slide it down the central tube where it sits. If it’s not the flapper, ball float, or the fill tube, it is most likely that you need to replace the fill valve. Drain the tank as in the first step then unscrew the water supply line to free the valve. It’s a good idea to take the old valve with you to the store to make sure you buy the right replacement valve. 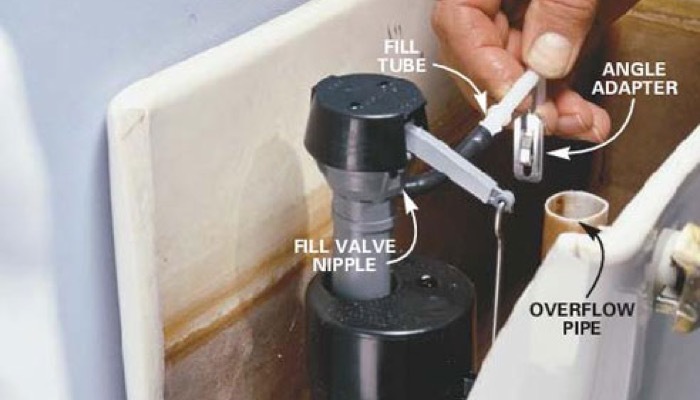 Secure the new valve in position and adjust the float to the right water level to fix running toilet. 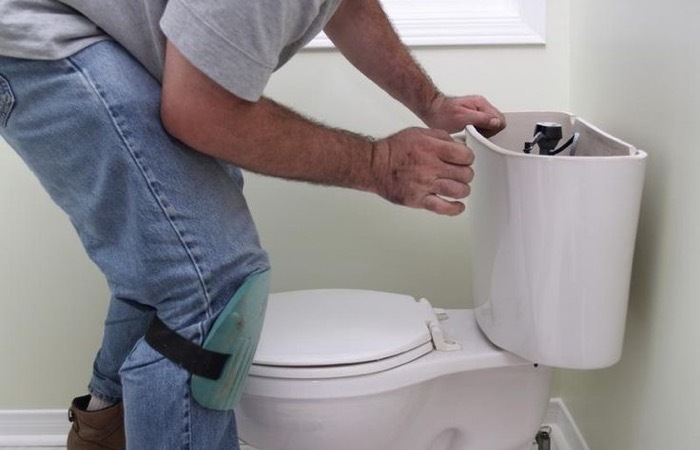 To ensure that your toilet doesn’t run into problems again, it’s important to maintain its parts. Always make sure that your toilet flapper is clean. Mineral deposits from the water eventually build up on the flapper. This prevents the flapper from sealing properly which will allow water to run. So before you think of ways to fix running toilet, it might be a good idea to also clean your flapper. You should also regularly clean your toilet with appropriate bathroom cleaner. 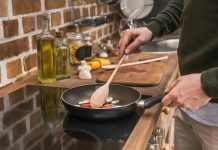 You can use vinegar to clean a dirty flapper and fix running toilet. Soak the flapper in a bowl of vinegar and let it stay there for about 30 minutes. After soaking the flapper in vinegar for 30 minutes, scrub the rubber in it using an old toothbrush. This will help dislodge the buildup in the flapper and dirt. When it’s clean, put the flapper back in its place. Make sure that you attach the hooks on the flapper to the side of the pins that are in the overflow tube. This is the chain that hangs on the flapper. Once it’s securely attached, turn on the water again and allow it to fill the toilet tank. At this point, you need to listen for the sound of water running to see if there are still any leaks. If not, then that means you were able to fix running toilet. It’s important to fix running toilet on time because this problem can cause you to waste hundreds of gallons of water in your home every day. Your bill will increase to unbelievable amounts. In the event that it does, you can always ask help from the water company to lower the bill by presenting them with proof that you had a leak and have made the necessary repairs. This is usually a statement of repair from your landlord or a professional. But since you have done the repairs yourself, you could present the receipts of the new parts that you bought and write a statement that you have made repairs for leaks. On the other hand, you may also check out our article about bidet and its importance.